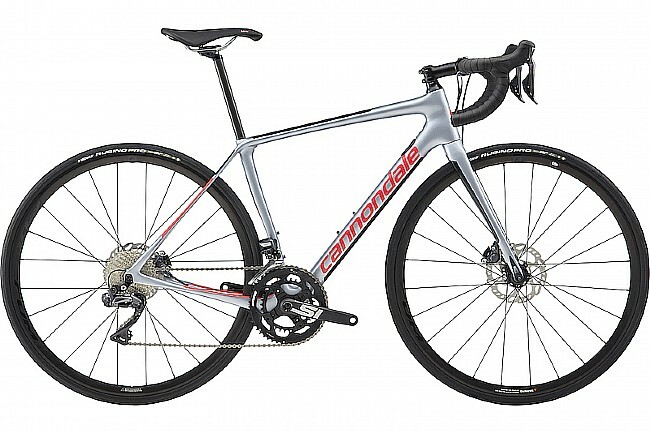 Cannondale's 2019 Synapse Carbon Ultegra Di2 Women's Disc Bike is light, smooth, fast, and elegantly designed, featuring Shimano Ultegra hydro disc brakes with 160/160mm RT70 rotors and Fulcrum Racing 600 DB alloy clincher wheels. Frame: Women's Asymmetric, BallisTec Carbon, Di2 ready, SAVE. Fork: Asymmetric, BallisTec Carbon, SAVE, integrated crown race. Wheelset: Fulcrum Racing 600 DB, Alloy clincher. Axles: 12x100mm thru axle (front); 12x142mm thru-axle (rear).